This is how the brand presence and the development of the Caso Design is currently appropriately described, in just the same way as the ambitious management of the creators Peter and Bernd Braukmann. That made it an easy decision to support first women’s volleyball team of RC Sorpesee in the future in their matches in the 3rd league. This is because only with the support of private sponsors is it possible to consistently achieve good levels of performance in (highly) competitive sports. The team has written club history and was able to gain promotion from the Regionalliga to the second Bundesliga Nord Frauen (women’s 2nd Bundesliga North). "We want to promote such outstanding commitment and are happy and proud to become the main sponsor of RC Sorpesee", said Peter Braukmann, the company’s Managing Director. After all, the RC Sorpesee has long stood out due to its exemplary promotion of talented sportswomen and attaches great importance to a sustainable sporting commitment. The concept of “humane performance sport” promotes young people according to paedagogical principles and conveys basic skills that are beneficial for their entire further way in life. In the 2017/2018 season the RC Sorpesee is playing in the 3rd Liga West. Whether it concerns team orientation, a willingness to perform, or fair play, values that are important in competitive sports, also play an important role in modern companies. In this context, RC Sorpesee and CASO have found a common set of basic values, which holds out the prospects of a successful collaboration. 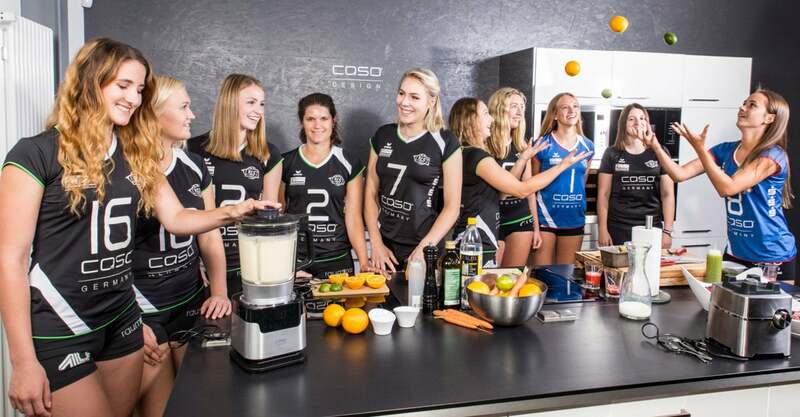 For CASO, the sponsorship commitment enriches the company, both in terms of its external impact and also the self-image within the company. "Competitive sport stands for quality, dynamics and aesthetics - attributes that can be transferred directly to our brand," opines Braukmann. RC Sorpesee has been faced by mammoth tasks since the start of the new season. The club will after all be playing with five adult teams and eight youth teams. In addition to the sporting challenges caused by the promotion of three teams to a higher league, the club faces enormous organisational tasks due to the large number of teams. The additional financial support provided by CASO secures the club’s committed work in the long term.